The initial cost of the plan is of NIS 500 million or $133 million USD. The project is expected to generate revenues for the communal settlements that will use the energy since the technology will allow them to store energy that can be sold to nearby locations. The profits are expected to be pooled and distributed equally among the participants of the commune. It would appear that the initiative for this plan was profoundly influenced by the announcements made recently by the Minister of National Infrastructures to approve a feed-in fee program for medium-sized solar stations that generate up to 5 MW. 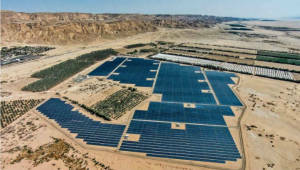 The measure allows the Authority of Public Utilities of Israel to buy electric power at NIS 2.01 ($0.53 USD) per KW from particulars or companies that used roof solar panels. The price represents four times the actual cost of regular electricity for final consumers. It is said that the Minister it's also reconsidering the 50 MW production cap on solar energy in the face of the benefits it offers across the nation. The move is just one more under a series of changes regarding the use of green energies in the country with Sunday Solar being in the limelight as the operational handler of these actions. They have also been declared the controllers of all the assets regarding electrical power by the United Kibbutz Movement. They were also granted the contract to place solar grinds in the roof of all municipal buildings in Kiryat Ono, on Tel-Aviv. The grinds will be placed on public institutions for starters. At the moment of making public this note, it has been revealed that the current goals for the Ministry of National infrastructures are to have at least 20% of the energy used in Israel generated by self-sustainable systems by 2020. There are other plans under development going to the highest bidder to install additional solar panels in different locations of the country. The government has issued the creation of thermal plants in the Negev Desert to generate an additional 250 MW of power on top the production of the Ashalim plant that was built back in 2011. The business model to grant the contracts for local bidders seem to have improved as well, especially after the controversy generated back when the Ashalim project was initially offered. The minister of that time forced all the local bidders to partner up with foreign companies if they wished to participate in the plan to build the green energy plant to avoid corruption. The current offering seems to be much more open and with a lot less restraint.